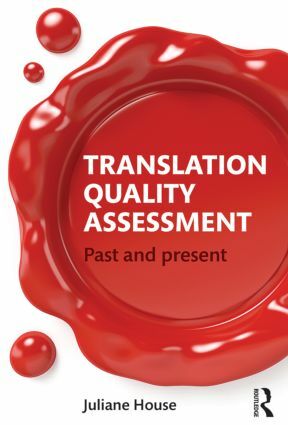 Translation Quality Assessment has become one of the key issues in translation studies. This comprehensive and up-to-date treatment of translation evaluation makes explicit the grounds of judging the worth of a translation and emphasizes that translation is, at its core, a linguistic art. Juliane House is Emeritus Professor of Applied Linguistics at University of Hamburg, Germany. She is Director of Programs in Arts and Sciences at Hellenic American University, Athens, Greence and President of the International Association for Translation and Intercultural Communication. Her most important books are Translation Quality Assessment: A Model Revisited (1997), Translation (2009), Translational Action and intercultural Communication (2009) and Translation: A Multidisciplinary Approach (2014).